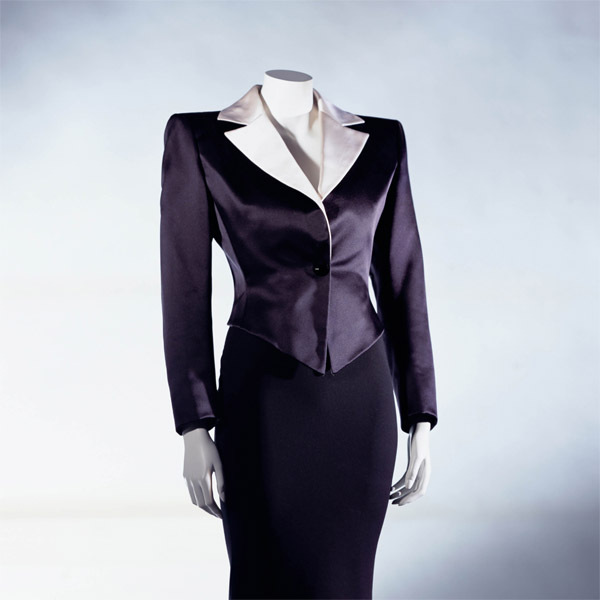 Black silk satin single-breasted jacket; peak lapel in white silk satin; padded at shoulders. 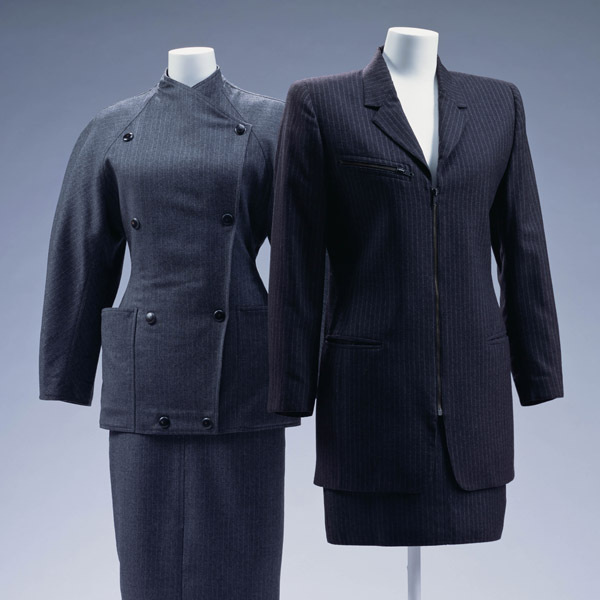 A smoking jacket (tuxedo) for women. 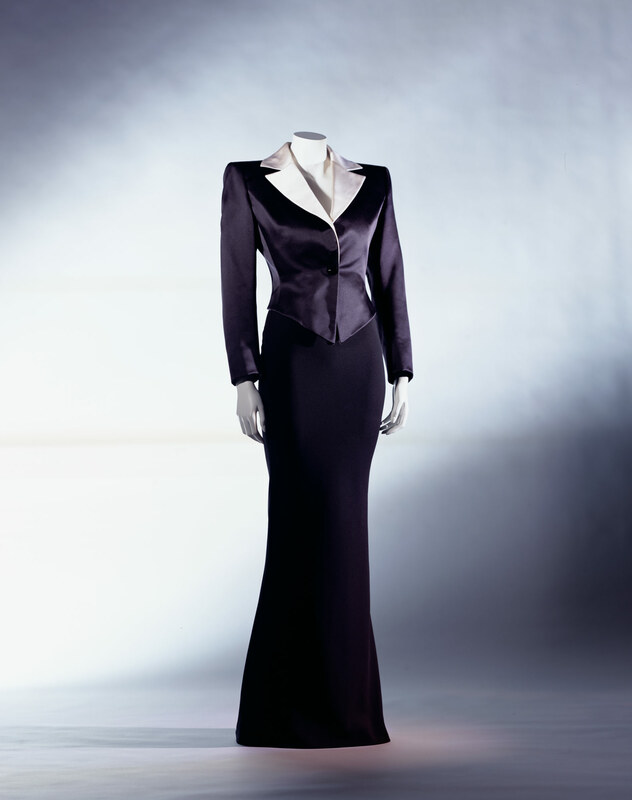 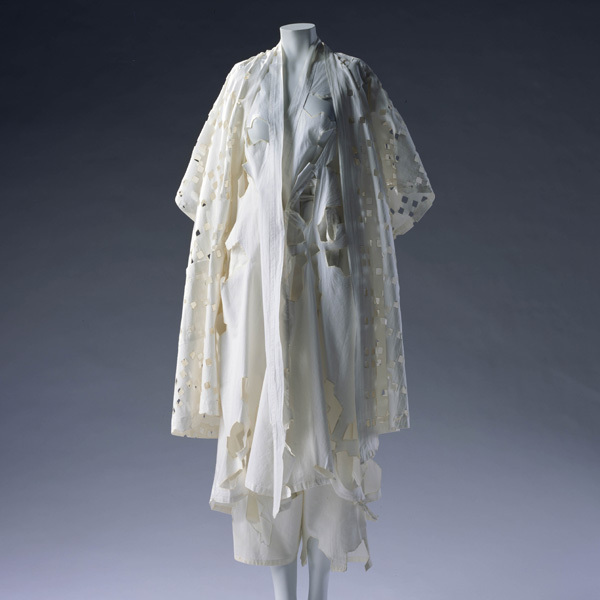 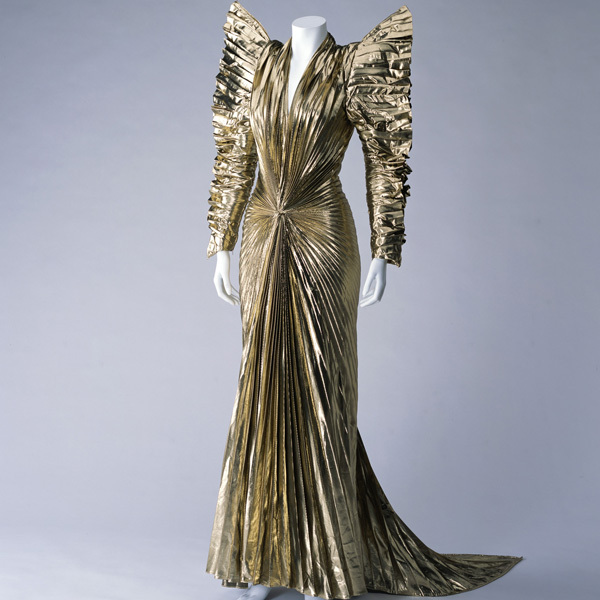 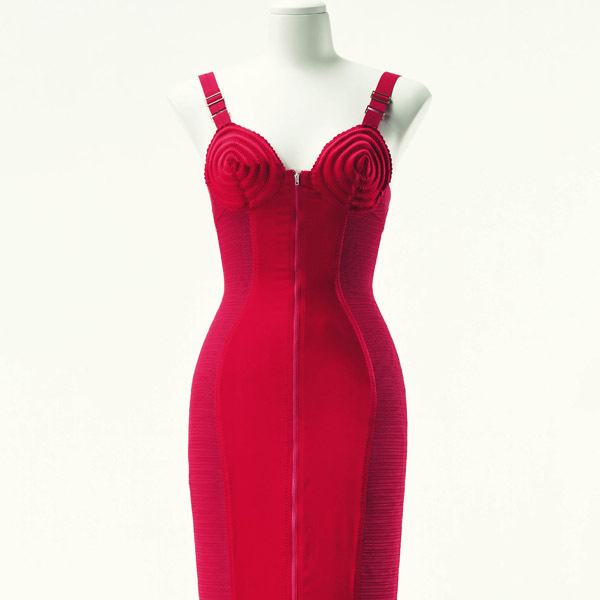 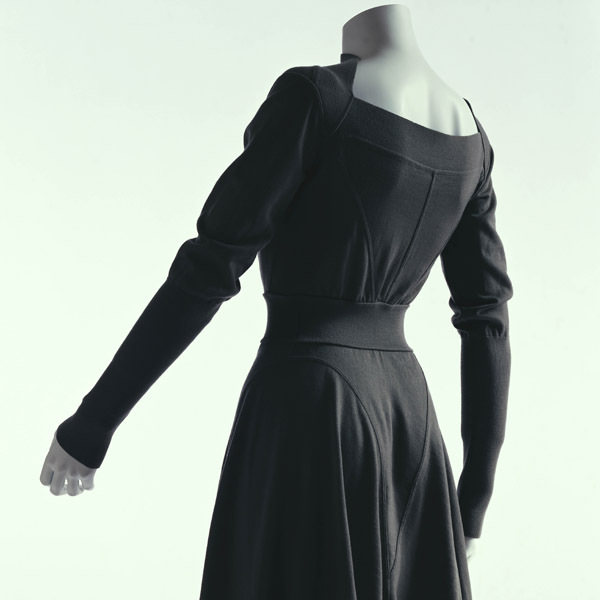 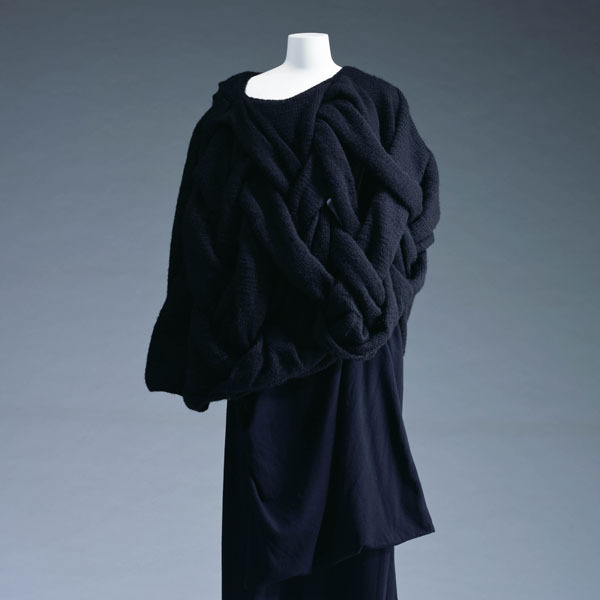 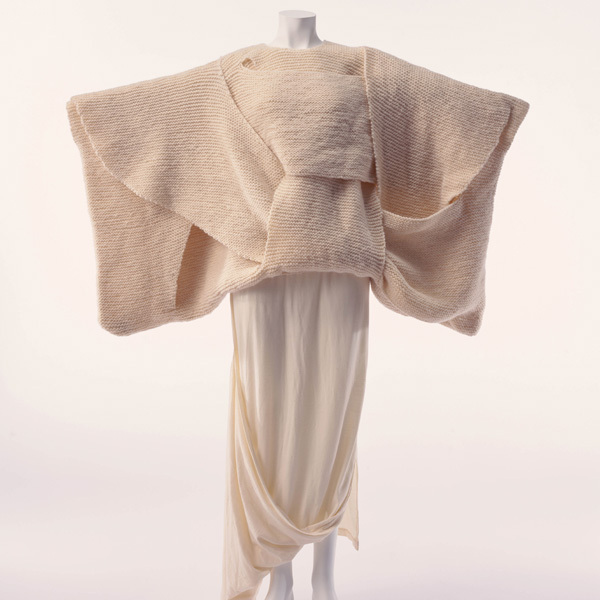 Although smoking jackets are usually made for men, this jacket was transformed into an elegant evening dress for women. 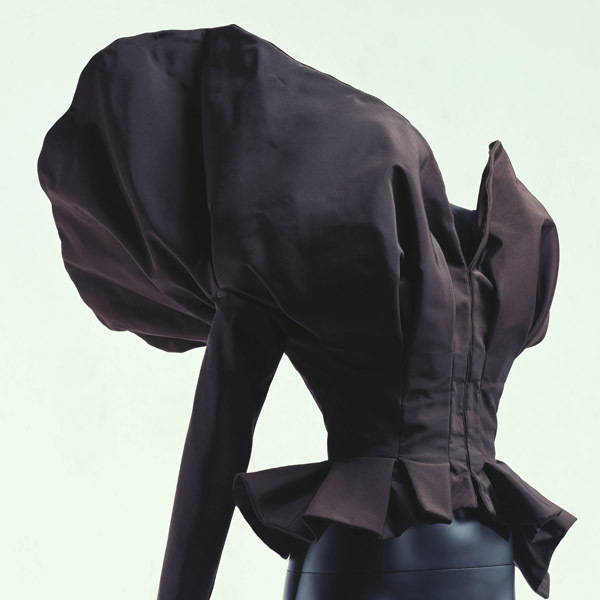 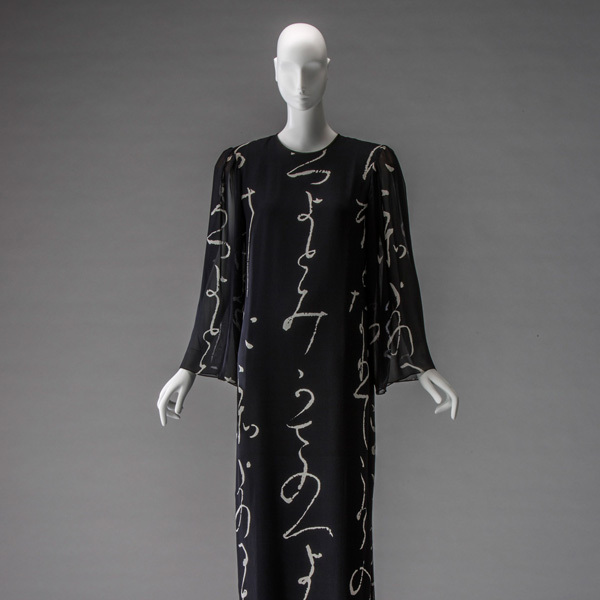 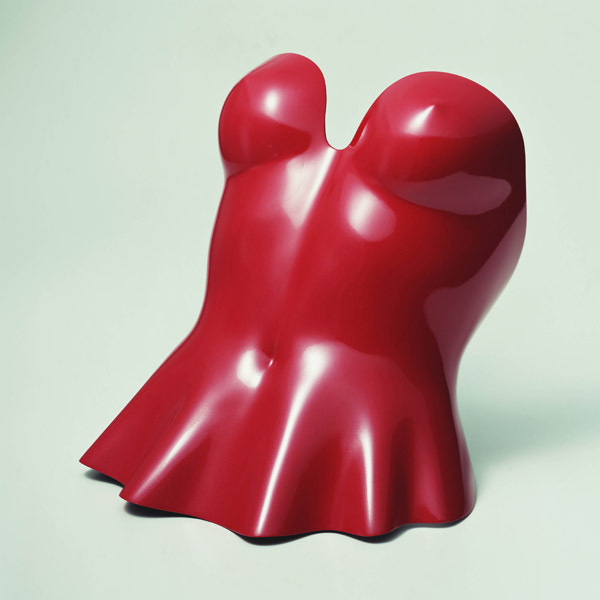 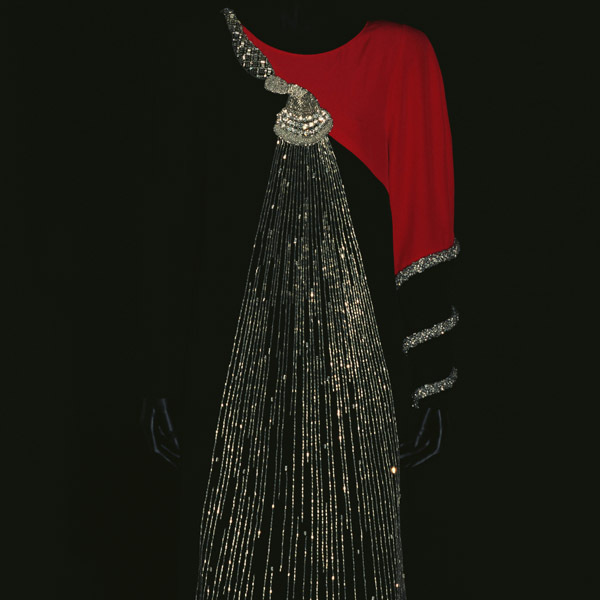 In the spring/summer collection of 1966 Yves Saint Laurent introduced his first smoking suit. 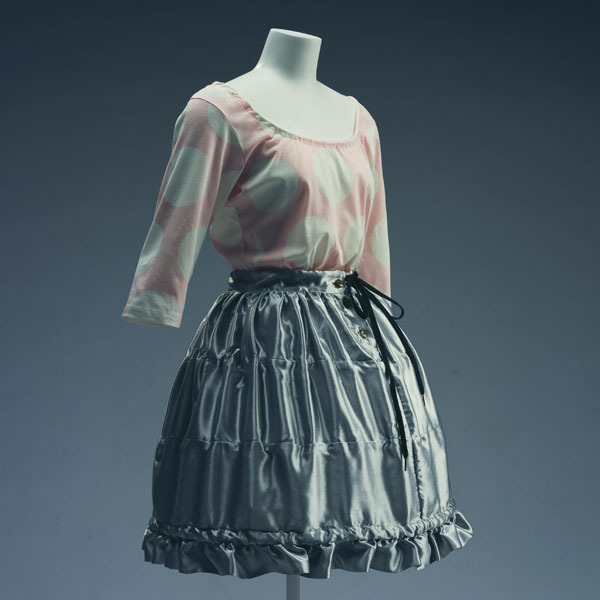 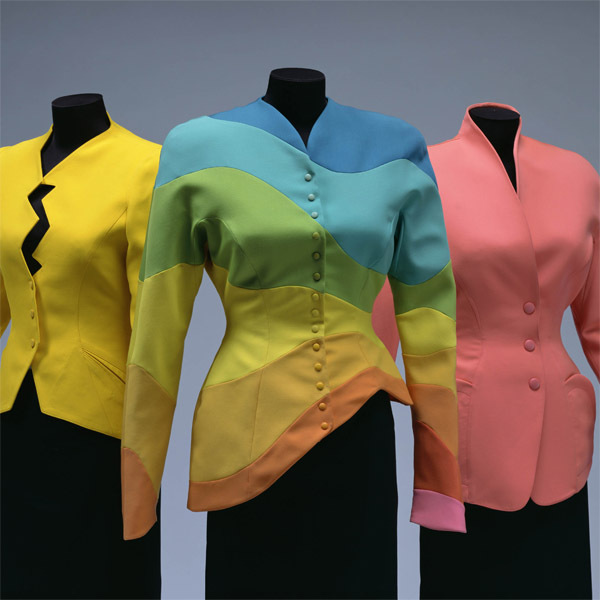 At a time when the women's liberation movement was expanding to have an impact on society worldwide, he successively introduced women's clothes transformed from men's clothes, including pea jackets, (1962), city pants (1967) and safari suits (1968). 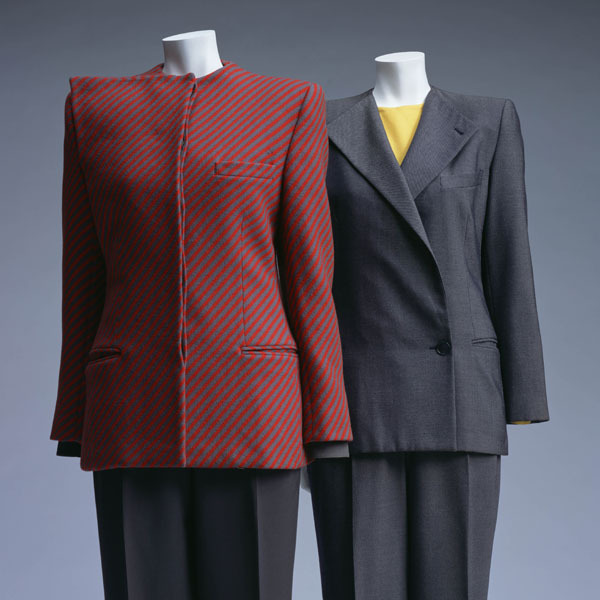 His smoking jackets were particularly appreciated because they brought an androgynous element into the category of female evening dress. 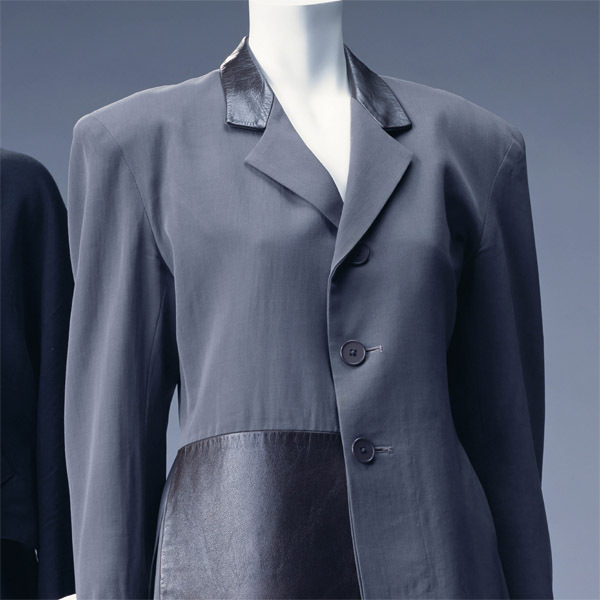 Saint Laurent created many smoking jackets, continuing until his last years, and they became an iconic part of his oeuvre.